This transparency is made possible because Penny Inc’s intelligent back office system (Penny Central) is centered around the transaction. 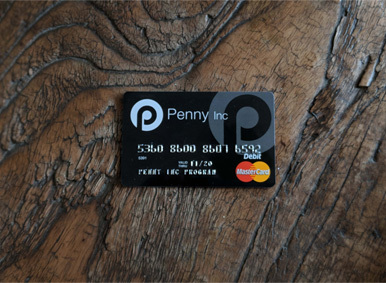 Every purchase on the Penny Card triggers the Penny App to get a photo of the receipt and precise categorization from the user. Additionally, each card can be fully controlled from Penny Central with spending limits, vendor restrictions and the ability to lock or cancel the card with just a couple of clicks. This level of transparency and control allows Hearing the Homeless to not only issue Penny Cards to HTH volunteers but to homeless people themselves, dramatically expanding HTH’s impact in the community. Working with Kevin & HTH lead the Penny team to realize we could further enhance transparency by using the data collected around each transaction to connect back with donors in real-time. In addition to receipts and categories the Penny App can collect photos of the goods donated and experiences of the volunteers and beneficiaries involved. Feeding this knowledge back to the donor greatly encourages more giving. With just a bit more development we will soon be able to replace the homeless donation cup with an intelligent HTH app that lets people confidently donate to their homeless neighbors and actually know how those donations are helping. Exchange student organizations are issuing Penny Cards & Apps to students and their host families to cover & control living expenses. Relief organizations can issue Penny Cards & Apps to disaster victims to support recovery efforts transparently. I guess you can say that Penny is the beneficiary of unintended expensequences. Penny Inc is evolving into a robust purchase, payments & expense platform that can be used for a wide variety of purposes. In recognition of this we are soon to release the Penny Inc API which will allow innovative developers to incorporate Penny Inc’s Fintech into their own solutions. It’s going to be very interesting to see how Penny Inc gets used next.